Greek, one professor; Latin, one professor; Greek and Latin, one lecturer. One of the first assistant lecturers at Mason University College was Frederick A.C. Morrison who had just completed his time as a student in Greece (1896/97). He died in July 1899, and was replaced by another BSA student, John W. Crowfoot, as classical lecturer (1899-1900). 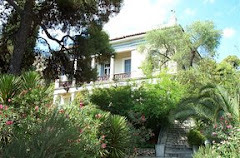 Crowfoot had been a contemporary of Morrison in Greece and had stayed for an additional year. He left in 1900 to become Assistant Master, Tewfikian School, Ministry of Education, Cairo (1901-03). As the University became established, Sonnenschein was appointed the first Dean of the Faculty of Arts and revised the curriculum for classics. The department was joined in 1901 by John Henry Hopkinson as lecturer in Greek (1901-04). 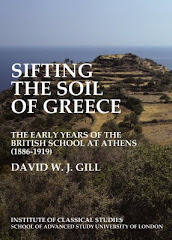 He had just completed two years in Athens, one as Craven University Fellow. His father, Professor Alfred Hopkinson, was at the time vice-chancellor of Victoria University in Manchester (and had previously been principal of Owens College). 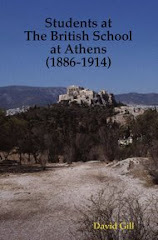 Hopkinson left in 1904 to become a lecturer in classical archaeology at Manchester, and he was replaced as lecturer in Greek in 1905 by Max O.B. Caspari (Max Cary) who had been at the BSA (1903/04) and had then taken a diploma in education at Liverpool (1905). Cary left for a Readership in Ancient History in London in 1908. A further former BSA student to join the department was Max Ludwig Wolfram Laistner as assistant lecturer in classics (1914). He left to fill the post in Belfast left vacant by the death of K.T. Frost, another former BSA student, on the Western Front. Henry J.W. Tillyard, another BSA student, was appointed to the chair of Russian (1921-26).